Marvel Cinematic Universe (MCU) films dominate the box offices nowadays. Everybody has seen these films and everybody knows someone who obsesses over them. If your son, brother, boyfriend or best buddy is a Marvel fanboy, he’ll thank you after you make his Christmas a Marvel-themed holiday. Your adorkable Marvel fanboy is surely anticipating the release of Captain America: Civil War next year. If he hasn’t already, he needs to read the source material. 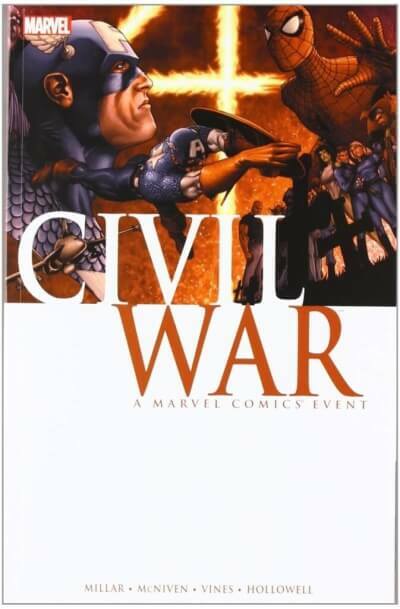 The seven-issue Civil War arc is one of the most ambitious comic book events that Marvel created. The main storyline can be supplemented by character-specific trade paperbacks, giving your fanboy more insight into specific characters’ thoughts, feelings and motivations during the civil war. Who? Star-Lord, man. 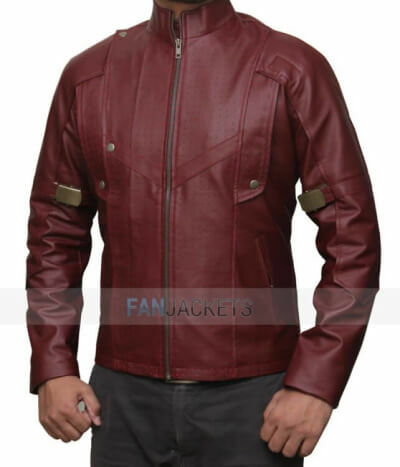 With this jacket, your fanboy will feel like his favorite legendary outlaw. 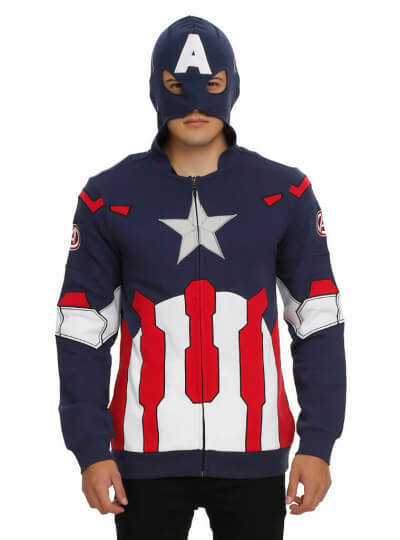 Perfect for a cool winter day, cosplaying, a Halloween costume or when your fanboy just wants to wave around finger guns and pretend he’s saving the galaxy. Hey, don’t judge. That’s rude. Your favorite fanboy can’t be Star-Lord if he’s not jamming out like Chris Pratt. 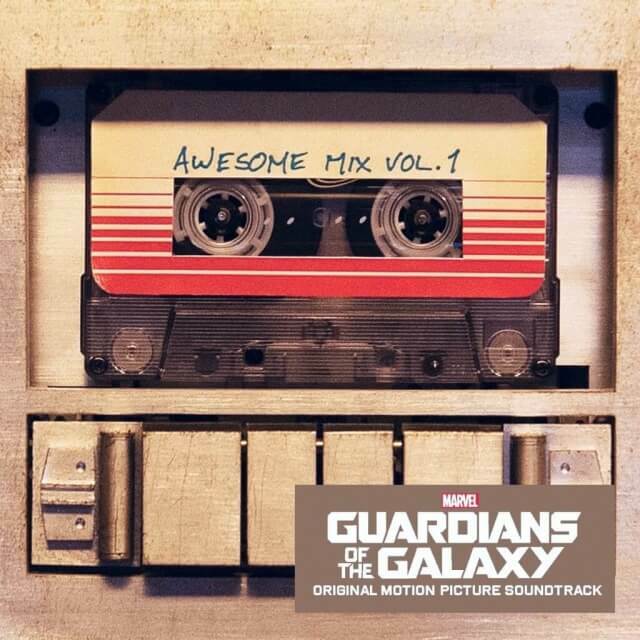 This great soundtrack includes all of Peter Quill’s mother’s favorite 70s pop songs, including “Escape (The Piña Colada Song),” “Come and Get Your Love” and “Ooga Chaka”—I mean, “Hooked on a Feeling.” Unfortunately, the soundtrack comes as a CD and not as a cassette tape for your indestructible Walkman. 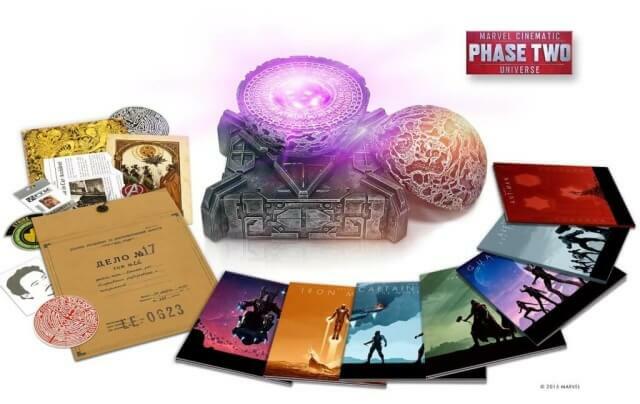 Recently released, the Marvel Cinematic Universe Phase Two Box Set contains all six Phase Two films as well as many special features, collectables and memorabilia, including a replica Morag orb containing the infinity stone from Guardians of the Galaxy. This box set is pricey and may not be worth purchasing if your fanboy already owns some of the films, but come on—it includes an infinity stone. Thanos dispatched Ronan the Accuser to grab this stone, but even he couldn’t acquire it. Buy your Marvel fanboy an infinity stone for $180 and he’ll be more powerful than all his favorite MCU characters. Let me you in on a secret: Men never have enough t-shirts. Seriously, we don’t like to do laundry. Help your fanboy out by picking him up a tee to show off his nerd cred. Grab this one that festively celebrates the best MCU bromance (Who woulda thunk that a talking raccoon and a walking plant interacting would be cinema gold? 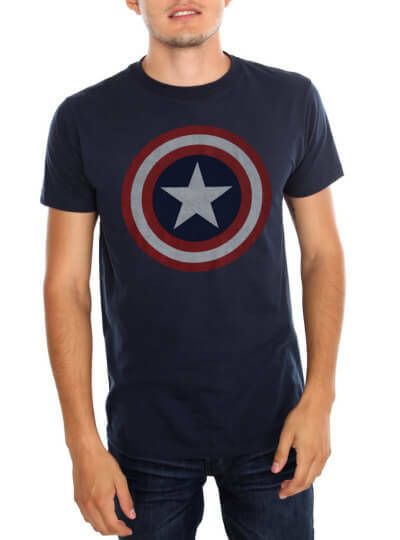 ), this tee that shows off everyone’s favorite quote from the Civil War trailer or just a simple Cap shirt that every fan, from casual to obsessive, seems to own. 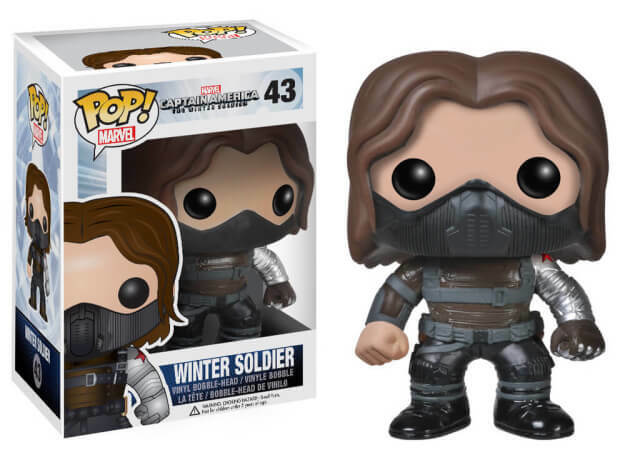 No, Marvel fans aren’t too old for toys—uh, collectibles. Collectibles. 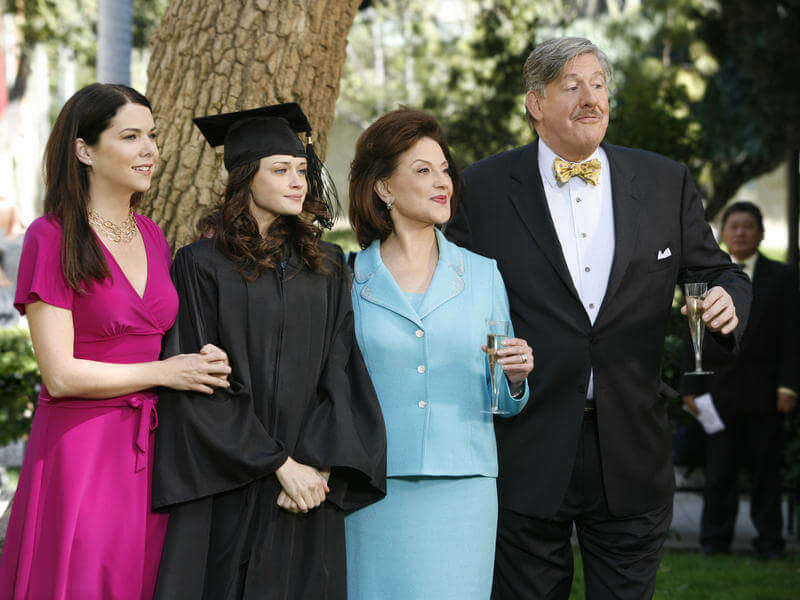 Every fan needs a POP! figure of his favorite MCU character. Funko makes POP! figures for just about every Marvel superhero you could ever want to snuggle up with at night. Hell, even Ant-Thony got his own figure. Sorry, I must excuse myself. I’m suffering from cuteness overload. 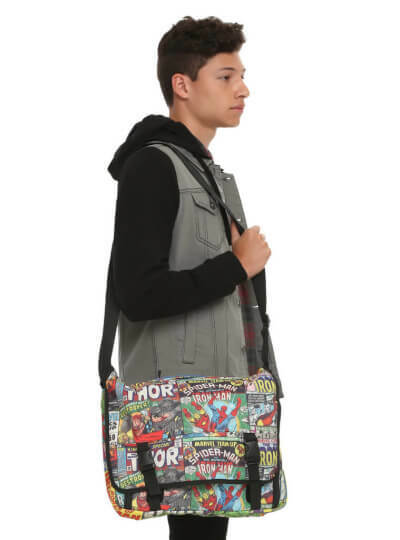 With this Marvel Comics messenger bag, your special someone will walk around campus looking like a boss. Okay, maybe not, but the bag is still awesome. Showcasing a collage of vintage Marvel comics, this bag is both affordable and useful for carrying books, laptops, tablets and, of course, Marvel comics. After the Secret Wars event ended, Marvel established a new universe called All-New, All-Different. This was an attempt to diversify Marvel’s superhero lineup in our ever-growing politically correct society. 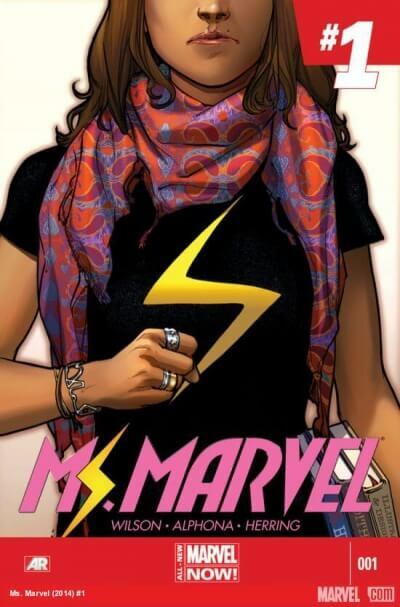 A woman took up the mantle of Thor, Sam Wilson (Falcon) is now Captain America and Kamala Khan is Ms. Marvel (fingers crossed she becomes a part of the MCU). Get your fanboy some new comics so he can expand his ever-growing Marvel Comics library. In 2015, movies are more expensive than ever, especially for non-matinee tickets and even more so for 3D showings. With Captain America: Civil War on the horizon and plenty more MCU films to follow, your Marvel fanboy needs all the help he can get. 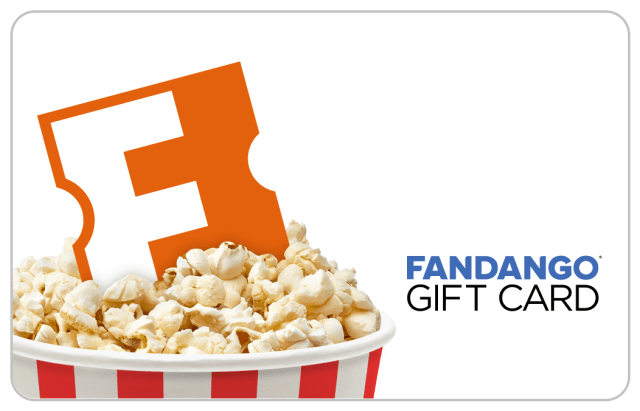 With a Fandango gift card, he can purchase his Civil War tickets as soon as they’re available and when all the opening night showings are sold out, instead of turning green with anger, he’ll smile with joy.